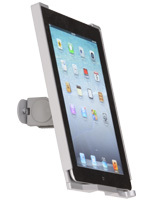 These Wall Mount Stands for IPad Rotate and Tilt Without Exposing the Home Button! These Display Frames Come with a Square Card Bracket Frame! 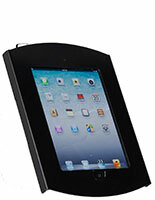 Choose from Hundreds of Accessories Like Wall Mount Stands for IPad From Our In Stock Inventory! Secure steel enclosure eliminates customers ability to access Home button for increased security. 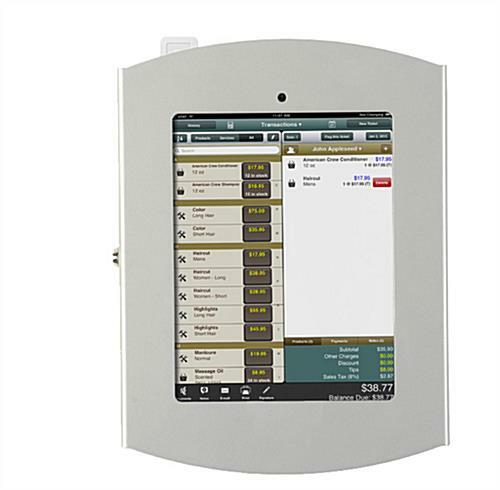 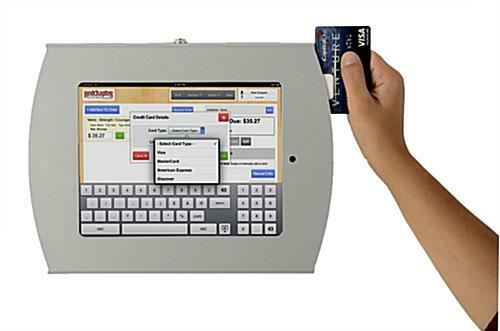 Compatible with credit card readers for use as POS kiosk; includes square reader bracket. 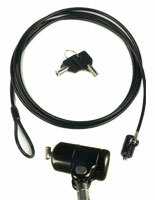 Locking enclosure with pushpin lock rotates and tilts with ease when installed. 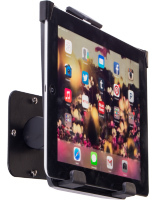 These wall mount stands for iPad make it easy for restaurants, internet/WiFi cafes, hotels, coffee shops, retail establishments or schools to display interactive programming to their customer base. 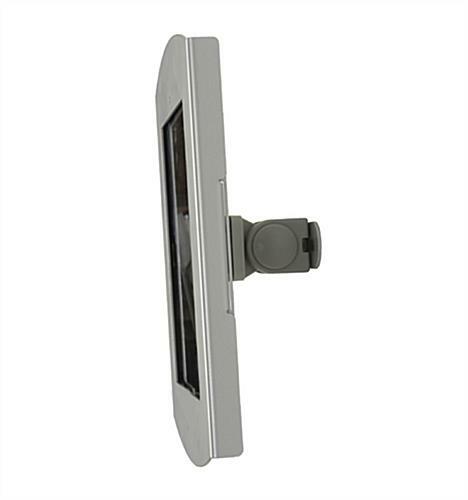 Each of these locking silver tablet enclosures ships with a metal frame to hold a square card reader bracket and comes with mounting hardware installation on walls. 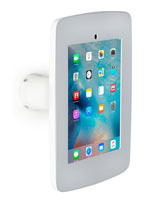 These Apple handheld mounts, interactive wall mount stands for iPad are perfect for high-volume use because they have a pushpin case lock, external charging port and camera holes. 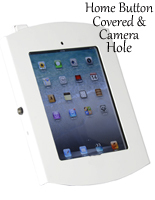 Each steel enclosure is designed to cover the Home button of the tablet for security and program access control. 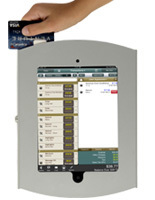 These stylish wall mount stands for iPad, also known as an interactive players for Apple apps, make great sales kiosks for merchandising or checkout, information stands, or marketing displays.